My new favorite paper company is October Afternoon. The paper has an old-fashioned look. 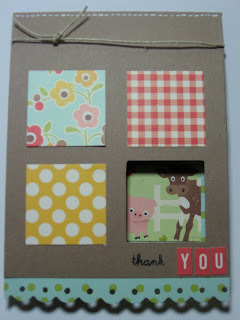 These papers are from the "Farm Fresh" line and are so charming! They go perfectly with my new My Pink Stamper stamp set "Punny-licious." Nice cards & I really like the paper also!